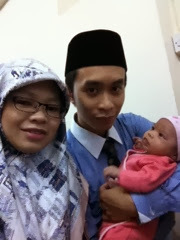 Baby Amni also had her first month clinic appointment last Wednesday. It was only routine check-up, no injection just yet. They currently giving jab when baby is two month old. Oh! 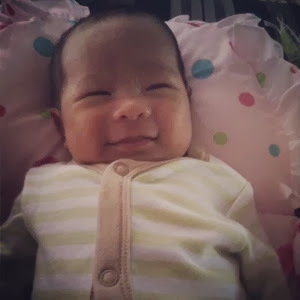 Baby Amni ada ruam all her face for the past few weeks already. At first we thought it was heat rash and was getting better few days ago until I ate some durian kuning and seafood! *slaps forehead* The cons for breastfeeding, you have to watch what you eat. *notetoselfforthegazillionthtimes* -_-"